The bottle is an original 60 ml Gorilla bottle filled to 50 ml with space left for Nic Shots. 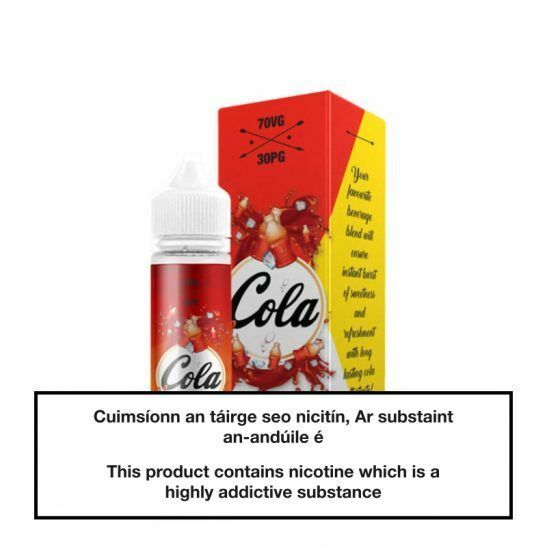 When you select 0 mg (nicotine free) the total volume will be 50 ml. If you choose 3 mg, you will receive 1 x 10 ml Nic Shot, which together gives a total volume of 60 ml. 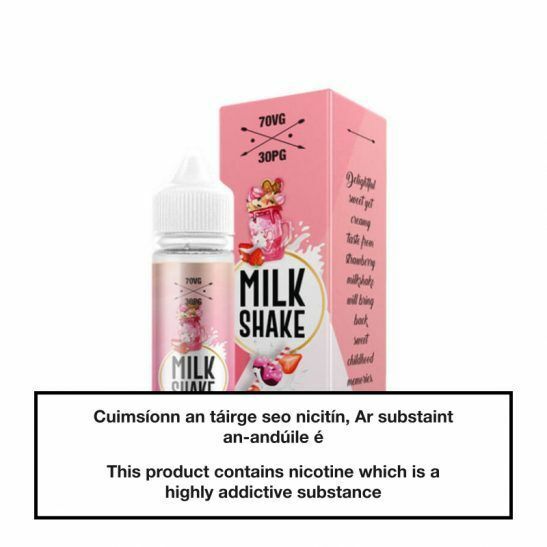 When ordering a Shortfill bottle off us, it becomes a "Shake & Vape" product, you get a 60ml bottle of 50ml of pre-mixed e-juice, and if you have ordered 3mg you will get 1 bottle of nicotine shot. It is a small 10ml bottle filled with 18mg nicotine and in the same mix as the e-juice. You also get a pipe cork, which you then put on the bottle when you have finished mixing. Unscrew the cork and remove the small plastic cap that is placed on the bottle, then pour the nicotine from the small 10ml bottle. If you have chosen 3mg then use the entire 10ml bottle. Insert the pipe cork into the bottle and screw the regular cork firmly. Shake the bottle thoroughly for at least 3 minutes in all directions. Try to blend out all nicotine as much as possible. Then leave the bottle to rest for 5 minutes and then shake for 3 minutes. When you think you blended everything by shaking enough, please put the bottle in the fridge cool and keep it open without opening the cork for the recommended 24 hours. Some even say 72 hours while some just let the bottle stand for an hour. You know what works best for you. If you keep it for 72 hours, it may be a good idea to remove the bottle and flap it for 10 minutes after 24 hours. After airing for 10 minutes, shake it again for 3 minutes and then put it back in the cooler. E-juice is best kept away from the cold and dark. PS: Your e-juice can get a different colour when the nicotine is mixed, and it's completely normal.